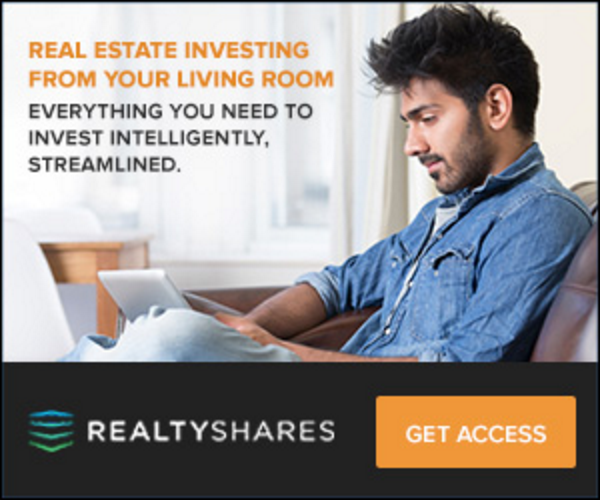 3 Things to Consider Before Investing in Rental Properties | Passive Income M.D. If you’ve ever thought about investing for passive income, you’ve probably already considered investing in real estate. Just about anyone currently investing in this asset class will tell you it’s a good idea – and with good reason. Like me, many of you probably know doctors who have been quite successful in this area, and maybe you’re thinking it’s time you hopped on the wagon. I first caught the real estate bug several years ago, and it has catapulted me toward my ultimate goal of financial freedom. Now that I have some experience, I’m often asked how to start investing. Real estate investments have been greatly beneficial to me, but before I recommend to folks that they should invest, I make sure that they consider the following three points. Before you decide that investing in rental property is for you, carefully consider them for yourself. This type of long-term commitment can take its toll on your finances if you’re not well prepared. Investing in a rental property is not a quick in and out situation (unless you’re looking to do a quick flip). For our purposes, it’s best to be thought of as a long-term play. Make sure all your expenses are well covered, that you have a decent emergency fund, and that the money you’re investing is surplus money you won’t need for awhile. Do you have some expected large spends like college for your children or trying to buy your own home? If so, perhaps this isn’t the time to lock up a large number of funds in an investment. It’s also critical that you prepare a maintenance fund for both expected and unexpected expenses that come with a rental property. This might include a new roof, water-heater, or HVAC system that could end up being a relatively significant cost. Any smart landlord will set aside an amount (~5%) for these capital expenses, also referred to as CapEx. Again, realize that you can make in the short term by flipping the home, which means you buy and sell in a short period of time. However, for the most part that’s extremely dependent on the way the housing market is moving. So if you know you need access to these funds in a short period of time, perhaps move on. Readers of this blog know that I firmly believe that owning real estate is one of the best (if not the best) paths to sustained long-term wealth creation. It can be a great passive income stream. However, it’s not without its headaches. When it comes down to it, being a landlord means dealing with people and all the ups and downs that go along with it. Don’t want to be surprised with a clogged toilet call on a Saturday night? You can hire a property manager to deal with it, but even so, you still have to oversee your managers and take care of larger issues. If you don’t think you can handle it, consider some less active ways of getting involved in real estate such as investing in crowdfunding, syndication, or a REIT. Yes, being a landlord can be a pain sometimes, but I believe that the pros of owning real estate directly still outweigh the cons. With a good property manager, small issues will be taken care of and you should only be notified of major issues and larger expenses. Just be sure you know what you’re getting into. Money, as they say, is made at the time of purchase. In other words, how well you buy determines how much you’ll make. This is absolutely true. The “buy first, ask questions later” mentality will only get you into trouble down the road. Do you know your net operating income? Do you know your expected ROI (return on investment)? What’s your cash on cash return? Fortunately, these numbers aren’t extremely complicated but are pretty simple math as I’ve shown in Real Estate Finance is as Simple as Calculating I’s and O’s. It’s important that you educate yourself on and fully understand all the different methods of making money in real estate and how to plan for different exit strategies. Not sure where to start? I recommend reading The ABCs of Real Estate Investing. After that, I highly recommend paying a visit to BiggerPockets.com. Is it Worth Investing in Real Estate? Ultimately, investing in anything is a risk, and real estate is no exception. However, it is my belief that the rewards can far outweigh that risk. Just ask anyone who has a portfolio of cash-flowing properties large enough to cover their expenses. Now that’s passive income and financial independence. Real estate helped jumpstart my goals of early retirement, and it can do the same for you. Making sure that you’ve considered these issues up front will help make that journey even easier. Do your research, consider the pros and cons, and finally, start your own path to financial independence, made possible by rental income. What else do you think needs to be considered before jumping into owning your own properties? I have been a landlord before and I honestly didn’t love it. Maybe I had some difficult tenants but while I enjoyed the rent coming in I didn’t love the headaches that came along with making sure they were respectful and taking care of the property while paying me on time. Now if a steal of a deal fell in my lap I’d definitely consider it again but buying any rental properties locally hasn’t made much sense for me yet. I’m not a big fan of self-managing. For the most part I think it’s worth the money to have someone be the first line of defense and take care of all those issues. The numbers just have to make sense. It’s not always easy to get excited by the return on one property but once you accumulate a few, you get more excited about the possibilities. We own 3 rental properties, 2 that are managed by a property manager, 1 self managed. Let me tell you, doing your own property management is not for the faint of heart. Deciding whether or not you want to be a landlord is very tough to do when you havent walked in a property managers shoes. The real estate flipping shows make it look easy, it is not that easy in real life! Your first point on making sure your finances can also handle it is a big factor as well. Unexpected water leak from the street to your home? Hope you have an extra $1500 lying around that you want to part with. Heater goes out at 10pm, guess what, you are getting a call from the tenant to fix it. Late night repair or holiday repair is often triple the cost, there goes another $500. If you didnt correctly factor in repairs and maintanence into your numbers before you bought the property, you are more than likely going to lose money on the home and hope to get bailed out by a rising market. Not to say that real estate investing isnt a great investment, because it is. It’s just not for the investor that wants to be completely hands off and thinks hiring a property manager will do all the work because it just doesn’t work that way. Real estate is great for diversification, just be prepared to put some work into maintaining your investment. Wise words from someone who definitely knows what he’s talking about. 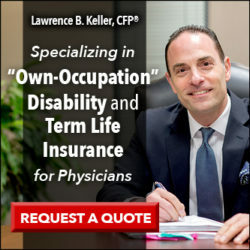 What percentage of your physician clients would you say actually invest in real estate? The physicians I work with are less than 10 years out of training. With respects to real estate, they mainly are focused on buying a primary residence. I spend time educating them on what to look for in a home, help them establish how much home they can afford and a bit on what to expect throughout the process of buying a home. 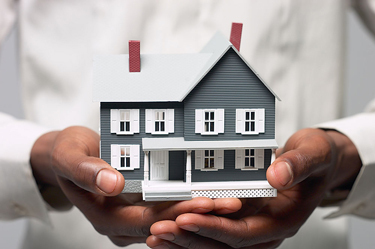 When the time comes that they will be looking to diversify their investments with rental properties, I will assist them in the analysis of the home and will give them as much of my experience as possible when trying to either self manage or hire a property manager to maintain their investments. Your point about making sure you have the cash to cover the unexpected cost is spot on. Knowing how to manage your personal finances and working in the time and cost of managing a property is a difficult task. I go back and forth between self manage and property management. Haven’t made the transition to a property manager yet. I’m sure there will be a point where you need to delegate the management. Cook that into your numbers and don’t see it as a loss. Your time is ultimately better spent on other things. Nice blog! I’m requesting a curbside consult here (pun intended). 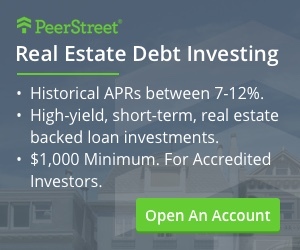 I was wondering what your thoughts are regarding short-term (AirBnb, VRBO, HomeAway, etc) rental investment properties vs traditional long-term rentals? This topic makes for a great post. But in brief, I’ve seen people on both sides of the fence. Although I mostly invest in long-term rentals, I’ve definitely given thought to the short-term rental (looked at some places in some beach cities and Hawaii). I’m definitely a proponent of using property management, so it’s possible that at the end of the day, the amount of effort would be the same for me. In short, pros: don’t have to worry about strict tenant laws & could use it myself from time to time. Cons: regulations can change (HOA rules) that could restrict your ability to rent it out, higher turnover usually results in higher maintenance costs. Are you invested in either? Any tips on finding a reliable, knowledgeable property manager? The best way is always through direct referral. However, if that’s not possible, I’ve called up some nicely maintained buildings in the area acting as a tenant to see how their property management is, kind of like a secret shopper. You figure they’re probably knowledgeable about the rents in the area to begin with and have pride in their management. Make sure to call references. Finding a good property manager is everything.